WPP advertising giant Grey London has won a brief with 'relaxation drink' Tranquini, the first PR-only client for a team revamped last year and now led by a former MD of THRSXTY. One of the world's largest ad agencies, Grey last year took on Ben Bailey (pictured above) as head of PR and Marie Sterry as a director. Bailey, who arrived in September, was MD of PRWeek UK Top-150 listed THRSXTY for three years before a stint as PR chief at London Design Festival last year. Sterry previously worked for ZPR, and before that Havas PR. She joined in March. Previous head of PR Veronique Rhys-Evans left the agency last summer and now lists herself on LinkedIn as the owner of Vee Marketing, while PR manager Emma Nabridnyj left in the autumn to go to creative awards association D&AD. The team, which is due to expand further this year, has also worked with Grey's shopper marketing team on Haagen-Dazs and Nature Valley, and has supported frozen food brand Birds Eye. It has now won an initial six-month retainer with Tranquini, which describes itself as the "first global active relaxation drink that offers a healthy and convenient way to de-stress". It was launched in 2015 and is now launching in the UK in Spar and Wholefoods. Work on the global PR and UK activation brief started at the end of last year. Bailey said: "Grey has been creating culturally relevant and famous ideas for over 100 years. It is a natural progression that clients expect us not only to deliver impactful and creative work, but also to amplify it within the world of earned media. 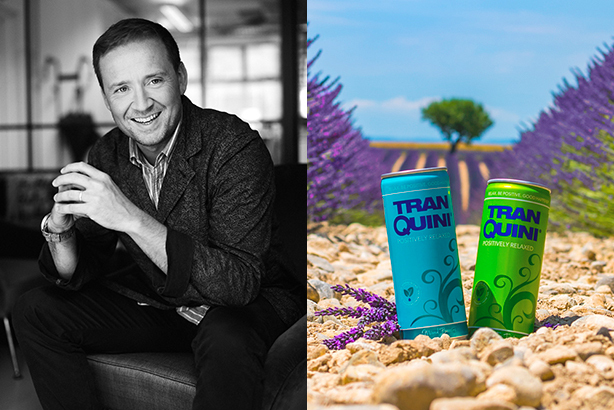 "We are excited at the prospect of defining and growing the relaxation drinks category with Tranquini as our first solo client and welcoming its founder, Ahmed Elafifi, to meet with the UK press in February." Another ad firm to make a push into PR last year was InterPublic-owned MullenLowe, which acquired UK independent PR agency Salt.